Only 999 units will be sold worldwide. Range Rover has revived its old, coupe SUV body-style. After a disguised Rover SUV was spotted on numerous instances doing test runs, Range Rover has now finally confirmed reports that a new Range Rover SV Coupe will be unveiled in March at the Geneva Motor Show. However, prior to the event, the automaker has released a teaser shot giving us an exclusive look of the SV coupe’s interior. The Range Rover SV Coupe will be a limited edition model to honor the original two-door Range Rover from 1970. Only 999 units will be sold worldwide. The interior image shows a four-seat layout with different color front and back seats. The front dash is the same as the regular Range Rover SV. The powertrain details have not been revealed yet but we believe it will carry a range-topping supercharged 5.0-liter V8 engine which generates 557 bhp and is found in the SVAutobiography model. 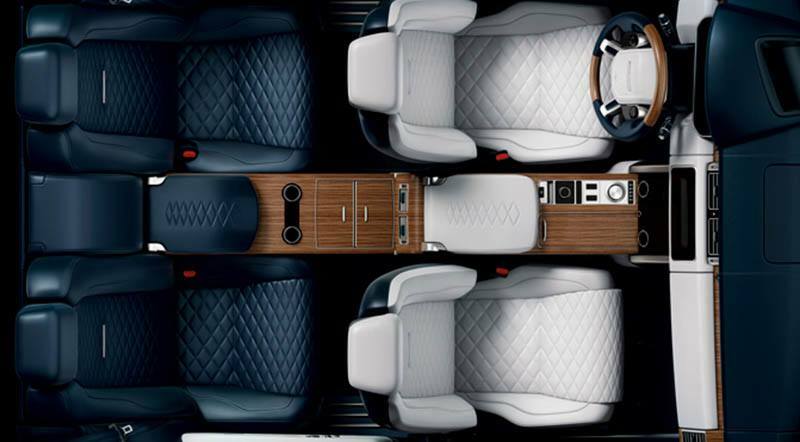 “The Range Rover SV Coupé is a highly compelling design with peerless refinement and uncompromised sophistication from its breathtaking exterior proportions to its sumptuous, beautifully appointed, interior,” Chief designer Gerry McGovern further added. No information has been revealed regarding the price but the SV Coupe will definitely be an expensive model. It is expected to cost over £200,000. The Range Rover SV Coupe will be the first two-door luxury SUV on sale. Other utility vehicles in this segment include the Lamborghini URUS, the Bentley Bentayga and the Rolls-Royce Cullinan. However, these all are 4-door SUVs. More details will be unveiled when the 2018 Geneva Motor show kicks off on 8th March, 2018.